A foreign birth certificate indicating the name of the parent(s) (documents in a language other than English or French must be translated to either English or French) if the child was born outside of Canada. In the event the other parent is deceased, you will need to carry a copy of the death certificate. Effective December 1, 2011, you must submit parentage documents along with Canadian passport applications for children under 16 (if they are applying for the first time). It will be interesting to see if these new passports will suffice on their own for travel, or whether the separate parentage documents will still have to be carried. 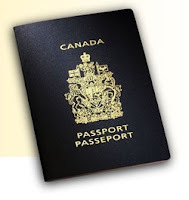 Visit Passport Canada for the latest information about passports for children. * It is a good idea to carry a child's detailed birth certificate even when both parents are traveling together, particularly when the parents are using differing surnames, so there is no question of parentage. Because every parent’s situation is different and the requirements of every country differ, be sure to visit Foreign Affairs Canada to check for updates on the requirements. You should also contact the representatives of the country or countries to be visited by the child to ensure that you have the most up-to-date information regarding their own specific entry requirements.